Ranbir Kapoor and Alia Bhatt to ring in Christmas and New Year together? Home Bollywood Gossip Ranbir Kapoor and Alia Bhatt to ring in Christmas and New Year together? Ranbir Kapoor and Alia Bhatt are the new lovebirds in the tinsel town and their romance has been brewing in full swing. Though Alia had a crush on Ranbir, reportedly, their love for each other blossomed last year in Bulgaria when they were with director Ayan Mukherji for the recce of their upcoming film’Brahmastra’. 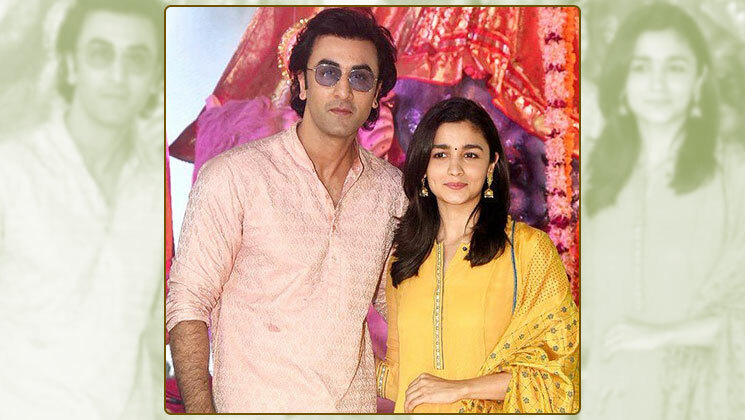 Post the Bulgaria schedule of ‘Brahmastra’, Ranbir and Alia are shooting in India and apparently, they will very soon wrap up the shoot and head for a romantic vacation. Yes as per a report in PeepingMoon, Ranbir and Alia will be celebrating Christmas and New Year together in New York. We all are aware of the fact that Ranbir’s dad Rishi Kapoor is undergoing treatment in the city so the couple will be celebrating Christmas and New Years there. Earlier when the actor was with his mom and dad, Alia went to New York to be with her beau and lend her support to his family. From the pictures of Alia with Ranbir’s family, it is quite obvious that the latter’s family has accepted Alia into their folds. From dining together to celebrating birthdays, the Kapoors and the Bhatts have bonded very well in recent times. Now, as the Bollywood is on a wedding spree, perhaps Ranbir and Alia too very soon tie the knot. Reports suggest that they will get hitched in February 2019. The couple has not yet announced about their relationship but their gestures show it all. We want it from the couple to make it official. Even you want the same, right?